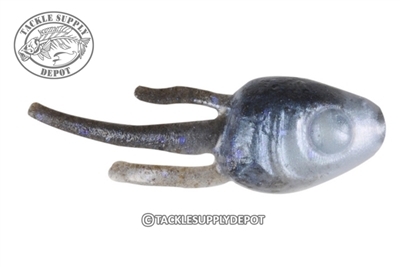 The Berkley Gulp Ice Minnow Head is perfect for tipping spoons and jigs and is more convenient and durable compared to cut minnow. This type of bait out fishes live bait in the field tests and eliminates the hassles that come with it. Packed with Gulp Ice extreme cold-water scent dispersion for long-distance temptation. The extreme scent dispersion expands the strike zone by 400 times, which draws in even the wariest of fish. Stop messing around with the hassles of live bait and those other plastics and simply grab a convenient bag of Gulp Ice!